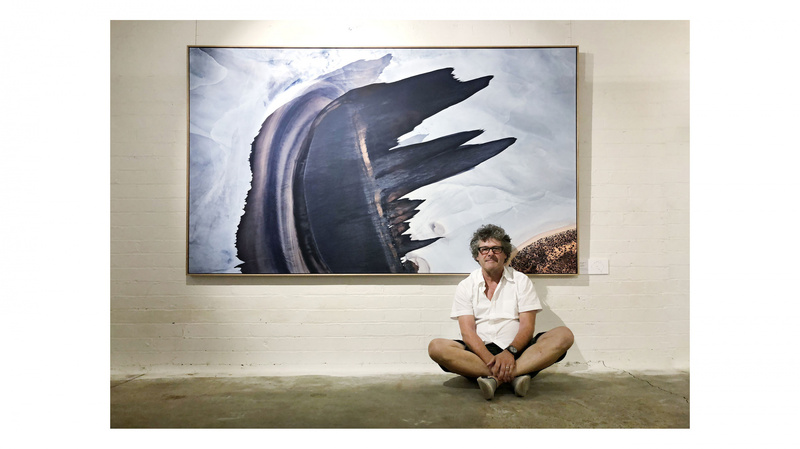 A Solo Pilot's Breathtaking Photographic Project - The Design Files | Australia's most popular design blog. Earlier today, we were spotlighting side hustles and giving you practical tips to kick your passion project into gear. This unique creative profile could not be a more inspiring follow-up. Solo ‘photopilot’ Andrew Vukosav is a renowned commercial photographer and also a paraglider. Ten years ago he sought longer-range freedom, aka his pilot licence. Soon after earning his wings (with propellers), it seemed natural to combine a love of capturing beauty with newfound access to some of the most incredible landscapes in Australia. Retrofitting the fuselage of ‘Valerie’, his Cessna 182RG, with an industrial digital camera, the adventurer has zig-zagged the continent on his days off over the past three years… And returned with Longitude, Latitude, Solitude, an exhibition of moving, large-scale art photographs available for all to view in South Melbourne. Ming Dragons. Photo – Andrew Vukosav. Mingara. Photo – Andrew Vukosav. Longitude, Latitude, Solitude is on exhibit at Magnum & Queens Wine until March 31st. Andrew Vukosav with his 1982 Cessna 182RG, Valerie!. The Serpent. Andy drew staggering similarities between this image and a work by Simon Hogan, Lingka, that he witnessed at the 2016 NATSIAA exhibition.‘That painting has so many parallels to the photograph that I took; it is uncanny,’ explains Andrew. ‘He, and many of the other artist in that exhibition have a way of painting their country from an aerial view but draw on Dreamtime wisdom and astral travels. Many of them never been on planes, yet they have this incredible rich connection with the country that you can see in the way they depict landscapes.’ Photo – Andrew Vukosav. Below. Photo – Andrew Vukosav. Frome Flood. Photo – Andrew Vukosav. Scratch. Photo – Andrew Vukosav. Simpson Dunes. Photo – Andrew Vukosav. The exhibition is currently on display at Magnum & Queens Wine in South Melbourne. Wind Water. Photo – Andrew Vukosav. Dragon. Photo – Andrew Vukosav. Paisley Amadeus. Photo – Andrew Vukosav. This passion project has given the photographer’s everyday work an edge. ‘All of a sudden it has excited me and reinvigorated me,’ he tells, adding that this couldn’t have come at a better time, with the current pressures of creative budget cuts. ‘I have always loved photography, but now that I have this creative escape, it has sharpened my commercial eye as well.’ – Andrew Vukosav. The lensman moved into advertising and commercial work, establishing his own business in 1989. He has gone on to shoot for the likes of Christian Dior, Singapore Airlines, Schwarzkopf, as well as contributed to a number of magazines including Vogue, Elle, and Harper’s Bazaar. He has made seven trips across Australia, travelling a total of 46,000 kilometres and clocking up 185 hours in the air so far. Studying routes on Google Earth prior to departure has lessened the risk of missing something wonderful along the way. Though, when it comes down to it, the locations often appear dramatically different, ensuring it’s always an exciting adventure of discovery! ‘I tend to look for more abstract landscapes and try to find interesting order in the randomness,’ tells the photographer. Initially, the solo pilot attempted the near-impossible feat of shooting out the window, ‘like driving along with your knee’ style! He ended up engineering a safer camera fixed to the plane’s underside and connected to an iPad in the cockpit. ‘It’s a bit of a clunky set-up. I don’t have a viewfinder as such, rather I’m inside the camera,’ he explains, detailing how he pitches the whole plane into position. Not another drone-wielding tourist, Andy seeks out extremely remote, virtually untouched places that engage viewers’ imaginations. High enough to take in the landscape as a whole, his vantage is still distinct to that of a commercial passenger. Flying lower (at between 1,000 to 7,000 feet), he is able to capture vast, fantastic formations that appear as if they’re actually macro details. Sometimes he can’t even pick up air traffic control, which can be little confronting and lead to some what-would-Bear-Grylls-do-if questioning! ‘But It doesn’t really worry me, I have never had any close shaves,’ he assures. Andrew Vukosav is currently looking for a Sydney site for May and is in discussion with Australian Embassies in Paris and Berlin. He’s looking at trips to Tasmania and back to Lake Eyre (as it starts filling up with water) next – follow on his website and Instagram. Watch talented emerging filmmaker Thuy Vy’s ADFEST-award-nominated short film below. A new photographic series depicting UNESCO Heritage Site Shark Bay in Western Australia. We’ve never held a TDF Collect exhibition like this before!